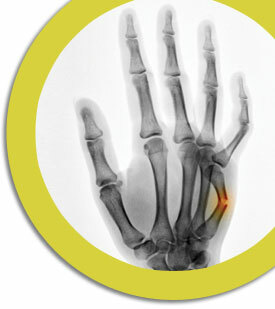 Work-related injuries and conditions can come with special challenges and stresses. At the Ross Center for Orthopedics, we understand these issues, and sympathize. We are committed to providing our workers' compensation patients with the highest level of caring treatment and sound clinical judgment. We will make every effort to ensure that your experience exceeds your expectations. In managing your work-related injury or condition, we will work closely with you, your employer, your case manager, and the workers' compensation carrier toward the best health outcome for you. We will provide an objective clinical assessment of your return-to-work plan and assess your possible need for a restricted-work or “light-duty” period and, as appropriate, we will provide the information and resources you need to help you prevent further injury. The Ross Center for Orthopedics also has full capabilities for reporting and documentation to comply with workers' compensation requirements, or, if needed, to support a possible disability determination. Our focus is on helping you get your livelihood and your life back on track.